First of all, there is no such thing. What is No Sense Friday, you ask? Well, most people live for this day. All week, they look forward to it. And while there’s nothing wrong with relaxing on the weekend, we often just waste it away by going on a two-day bender giving in to our every impulse. That’s why Friday is the most important day to call out things that make no sense. So that’s what we’ll do. Because in a way, the concept of ‘Friday’ itself makes no sense. A good life is lived every day, not just once a week. There is no source for this anywhere. It’s not a fact. It’s very likely made up. There is nothing “average” about being a millionaire in the first place. There are 42.2 million millionaires in the world. That’s a lot, but it’s only about 0.5% of the global population. Lumping together a bunch of outliers is rarely useful. Even if it was true, it’s a chicken-and-egg problem. Did the person become a millionaire because they had 7 income streams? Or did they diversify after? Speaking of chickens and eggs, there’s another misnomer floating around the web: People quote Warren Buffett as having said that “you should not put all your eggs in one basket.” Actually, he does the exact opposite. He concentrates. He’s focused. According to Buffett, “diversification is a protection against ignorance. It makes very little sense for those who know what they’re doing.” And indeed, only a handful of great stocks like See's Candies, Coca-Cola, and McDonald’s created most of Buffett’s wealth. Here’s my theory: Most millionaires dedicated themselves completely to one thing and, eventually, it worked out. Then, they spread their money as a safety mechanism. 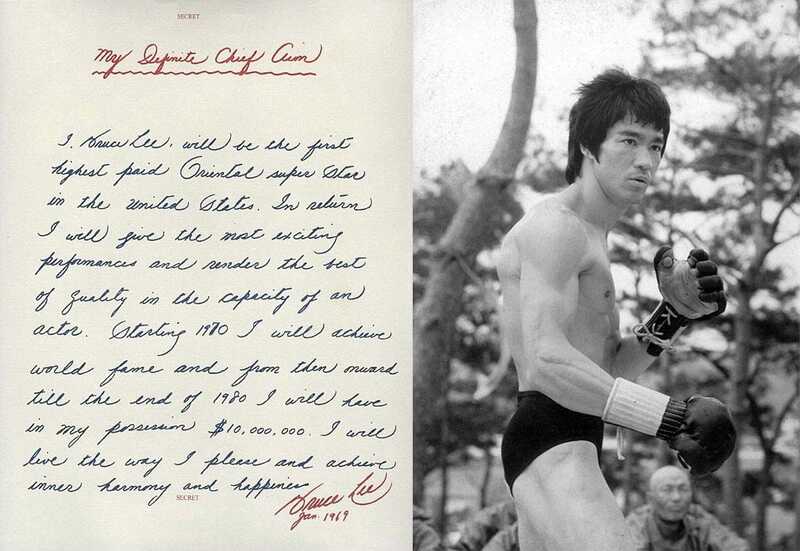 Just look at our inspiration for this newsletter, Bruce Lee. In 1969, he wrote a letter to himself, committing to become the best and highest paid actor in Hollywood (and make $10,000,000). He died in 1973, but he had achieved his goal. Because he was all-in. This makes perfect sense to me. You can’t make serious progress when you’re spreading yourself too thin. And managing 7 income streams is a huge overhead. PS: What do you think of recurring themes like this one? Yay or nay? —> Hit reply. If you enjoy Empty Your Cup, forward this email to one friend so they can sign up here. More of a social media guy or gal? Sure, just share on Facebook or tweet about it.